While I hunt through my logins and passwords and abandoned online presences for the login to the Slow Making blog, I'll post this here so I don't lose it and because it is relevant to my practice. My more cynical friends might be tempted to point out the slow making doesn't begin to do justice to quite how slow my making is. But a fellow Art School survivor who was over for dinner last night made the point that whilst making five pieces in two weeks for the Perch exhibition might seem crazyfast, it was only possible because of months, nay years, of thinking, contemplation, faffing, drafting, playing and more faffing. 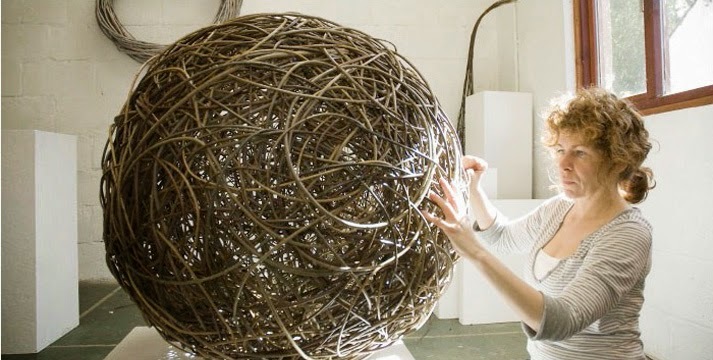 The other key thing about slow making is that it allows within certain types of craft practice the ability to respond in the moment to materials, to unexpected arrangements, to revealed glimpses of beauty or oddness; any of which might require plans to be changed, pieces rethought, things remade. I won't be in the UK to see the exhibition Make it Slow but I would love to compare it to The Crafts Council's touring exhibition Raw Craft. As someone whose knowledge of craft were initially forged by the craft revival of the late 1960s and 1970s (1) and then matured in the 1990s, I am a bit underwhelmed by a lot of the work in Raw Craft as it suffers from the problem that a lot of contemporary design seems to also suffer from - being derivative and not (according to my world view) saying anything particularly interesting or important. I tripped over Make it Slow on the Crafts Council UK news page, after reading a post by Rosy Greenlees where she makes the oft-made point that tough times suit innovation. Perhaps, but the degree of impact that this new moment might have on over-consumption of the badly made and poorly designed that plagues us is not likely to be great - Greenlees' keenness reminds me of Sennett's recent work on skill and craftmanship which I found very very annoying. My main gripe was that as far as I could tell, Sennett had no real idea of what making actually entails, how it feels and has no experience of what Pye called the craftmanship of risk. A lot of the skills I've collected over the years are to varying degrees redundant. But none more so than french polishing. In the 1990s I did a trade certificate in a trade that effectively no longer exists. I was lucky enough to be taught by polishers who were very highly skilled and able to do very technically accomplished work, including arcane polishing techniques such as acid and chalk pulls on a french polished surface. Apart from the skill(s) themselves, what that level of expertise also gives you is the ability to see. And see very differently - detail, nuance, and errors become glaring in your own work and other peoples. How important that training, that re-seeing is, was reinforced by my time at the Woodworkshop, Canberra School of Art under George Ingram. What I find disconcerting is how often I look at new work, and see hesitancy, haste, poor understanding of the materials, and an object that is first and foremost an intellectual exercise, a theoretical response to the notion of furniture or object or a cultural moment. I vacillate between feeling disappointed and seeming a very bad tempered harpie. However it is the curated applause that boosts such work that disappoints me far more. All work should be experimental; a challenge to your skills and design ideas which carries a high risk of something not quite working. Much that is applauded probably doesn't deserve such praise; the modern madness of praising when none is due; an act that anoints the expert and removes the rest of us from the critical field. I find that a lot of the opinion, criticism or theorising about craft seems to be written by people who demonstrate that they have little understanding of the making process, no grasp of the craftmanship of risk and lack the eye of the maker, but instead construct theoretical structures where the work is slotted into some spiderweb of cultural theory. But in the next breath, I can also be critical of work that is too slick, lacking any sense of the maker, or work that relies on the material's pattern, colours or assumed value. Somewhere there is a space that I try to exist within - where slowness balances the need to work the material, push the tools at the pace of confident risk, where consideration and contemplation open possibilities that deadlines, surety and theory take away. 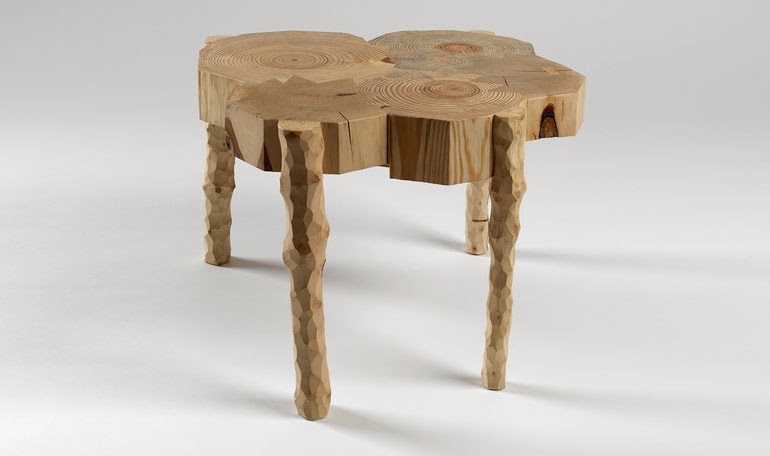 Jin stool, 2013. 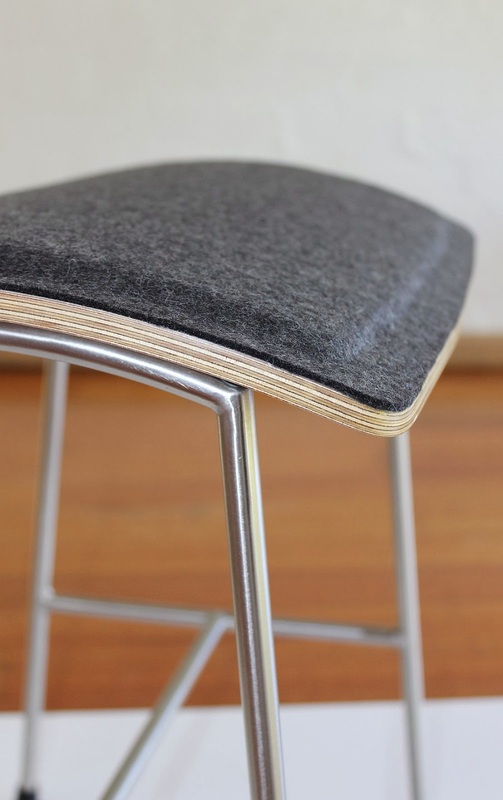 Hoop pine ply, Australian wool felt, stainless steel. 1. I had something of a charmed childhood as my mother ran a craft gallery during my primary school years. My weekends and school holidays were often sent in makers' studios as Daph dragged my father and I around Tasmania on her buying and object collecting trips which often included Craft Council meetings, or workshops blessed with all of the earnest adult certainty of the post-Chicago craft revival.